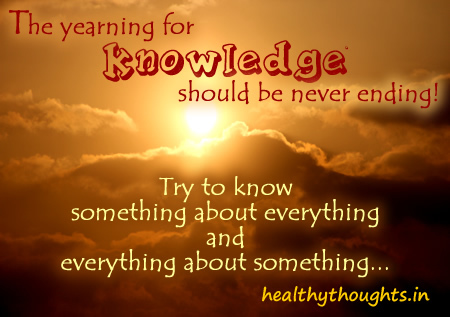 What does it mean to know something; to possess knowledge? To a fifth-grader, someone is smart because they know facts about stuff. To an adult, someone is smart because they know about stuff, how and why it works, for instance. I have taken them in the order listed for our process, and for our discussion. We are to add knowledge to our virtue and faith. As you can see from the outline of general usage, there is much to know, from the facts of our faith to the practical outworking of the same. There is no single experience or school of learning that will give you everything you need to know. It is a process--a lifetime process--that you must choose to allow into your life. BUT, it does let us know that the type of “knowledge” which we are to add to our faith might include every aspect of the same. So. What might that look like? What are the areas of knowledge that we should develop? Peter is not clear in this. He does not tell us what we are to know. However, because he uses the word γνῶσιν (gnosin, from gnosis), we can follow the outline of biblical usage given above for our understanding. Some maintain that "ignorance is bliss," but that is simply not true. Others have said, "What you don't know won't hurt you," but that is simply not true, either. What you don't know can get you killed! If you don't know how fires are started, you could get killed. If you don't know about the power of motion from and automobile, you could get killed. If you don't know about stagnant water, you could die. Of course, just having the knowledge isn't sufficient either. Some have said that "knowledge is power," but that is simply not true. Knowledge combined with action based on that knowledge is power. There must be action in relation to knowledge for any power to be manifest. I realize this all sounds like a class in Human Existence 101, but we all know people who seem to have skipped this particular class. And, in the realm of our profession of faith, this is even more basic, and seemingly neglected by the majority. The beginning place of knowledge, as Peter mentions in our passage under consideration, is our faith. Or, as Hosea says, the knowledge of God (Hosea 6:6). What is the "knowledge of God?" What are we to know about God? How do we come to gain that knowledge? We are to know God's word, will, and ways. Many are stuck at the middle-school level first mentioned at the beginning of this article. They are content to think they are smart, or saved, because they know facts about God. Finally, Peter’s last charge to us in his letter is to GROW in the grace and knowledge of the Lord Jesus Christ (2 Pet. 3:18).